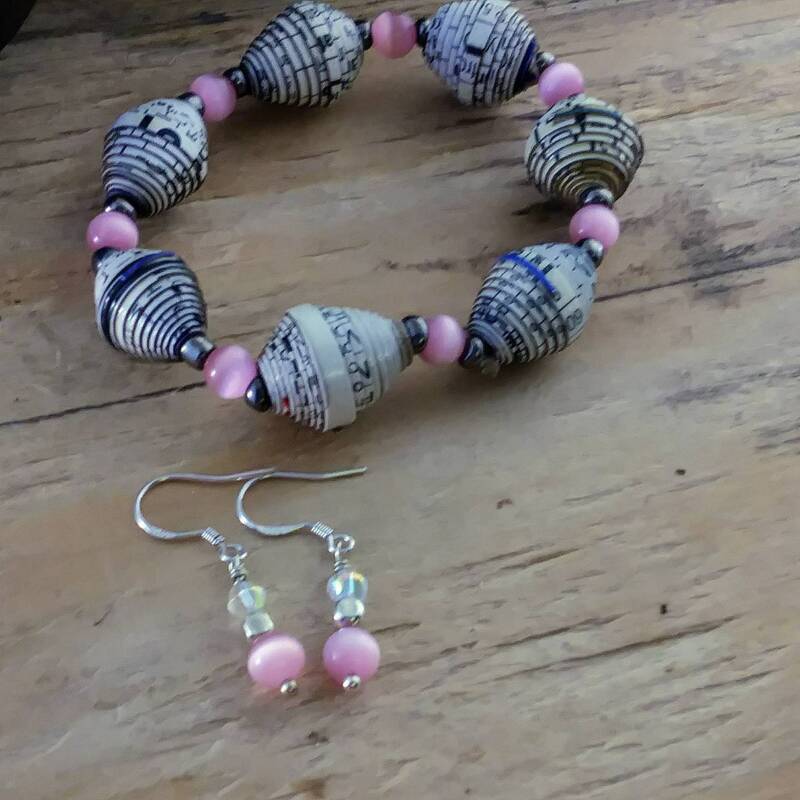 Lovely set for someone special. 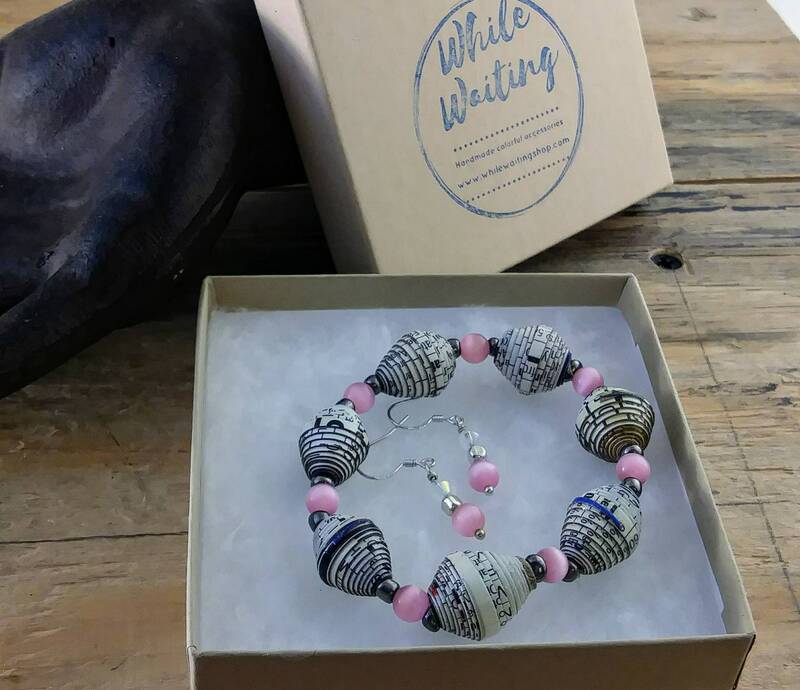 This bracelet is made with black and white paper beads, likely the nutritional section of a cereal box! 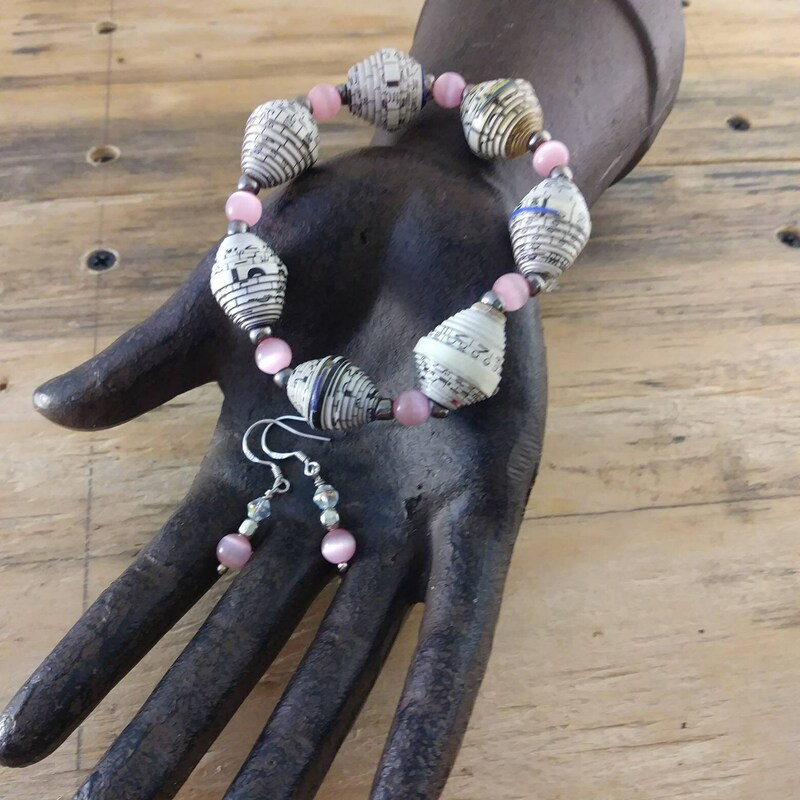 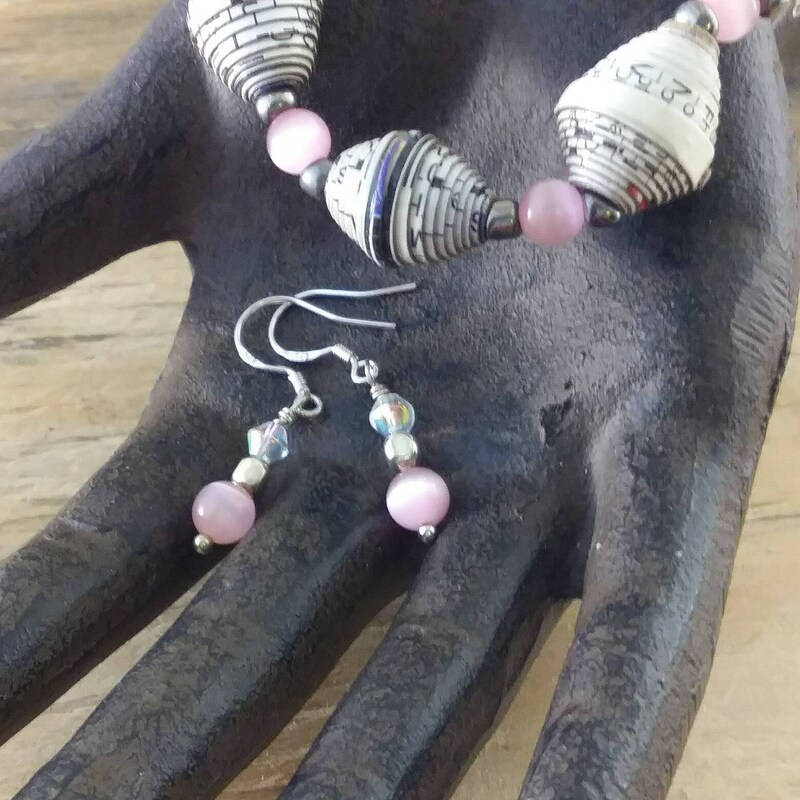 In-between are sweet pink glass beads that are again used in the matching earrings. 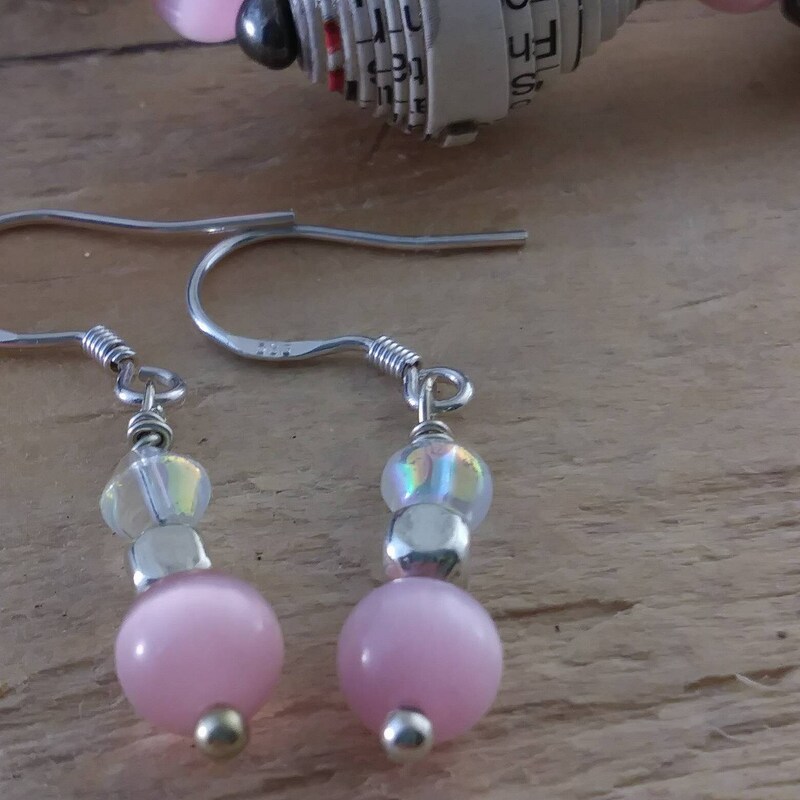 The earrings are made with sterling silver hooks and are just an inch long.